Sport Ireland have announced they have decided to “suspend and withhold future funding” to the Football Association of Ireland (FAI). In a statement issued this evening, the board of Sport Ireland said the course of action was being carried out in accordance with Clause 1.1 of Sport Ireland’s Terms and Conditions of Grant Approval. Responding, the FAI said it was “unfortunate that Sport Ireland now feel compelled to take this action in the wake of recent events. 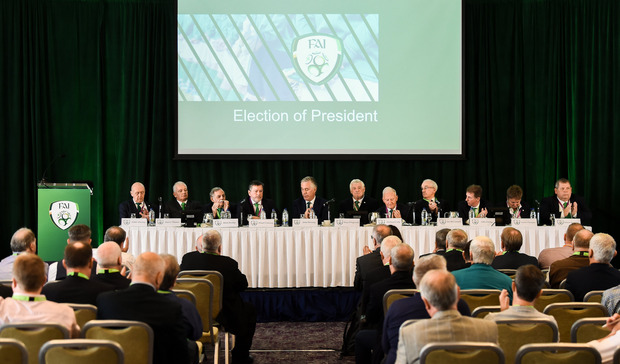 In a statement, FAI President Donal Conway said: “The €2.7million funding Sport Ireland provides annually to the FAI is crucial to the development of an inclusive approach to football in Ireland. “As indicated at its meeting with Sport Ireland last Friday and in recent correspondence, the Association is keen to restore trust and confidence and rebuild the relationship with Sport Ireland as soon as possible. Sport Ireland’s decision comes a day before the FAI is scheduled to appear before an Oireachtas committee. FAI President Donal Conway is expected to make a statement before the committee. A copy of this speech emerged last night, and in it Mr Conway says that the FAI acknowledges “certain circumstances arose in April 2017 which were not reported to Sport Ireland. We will work with Sport Ireland in order to establish a process to ensure the FAI are, in future, fully compliant”. The statement said: “The decision was taken in light of an acknowledgement by the FAI in its written opening statement to the Joint Oireachtas Committee on Transport, Tourism and Sport tomorrow that in 2017 the FAI did not comply with Clause 4.3 of Sport Ireland’s Terms & Conditions of Grant Approval. 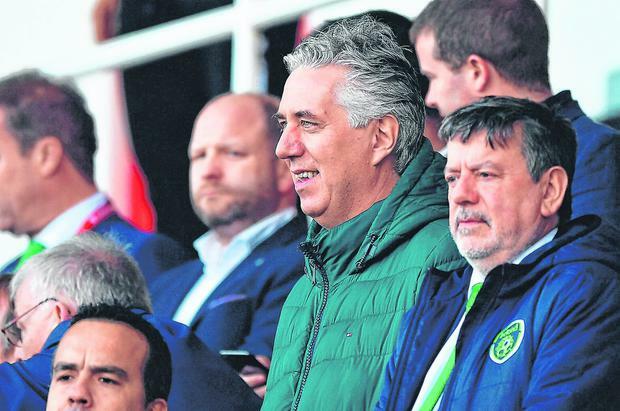 “In making the decision to suspend and withhold funding, the Board of Sport Ireland notes that the FAI has already been paid 50pc of its 2019 funding to date and some positive steps taken by the FAI in recent days. Sport Ireland is the body responsible for overseeing the distribution and use of public funding to sporting organisations in Ireland. Last night, ahead of their appearance before the Oireachtas committee, FAI President Donal Conway issued a statement to media saying that recent FAI statements “did not accurately reflect” the FAI Board’s level of awareness of their former CEO John Delaney’s €100,000 bridging loan to his employer in 2017. Mr Conway is due to appear before the Oireachtas Committee for Transport, Tourism and Sport tomorrow. 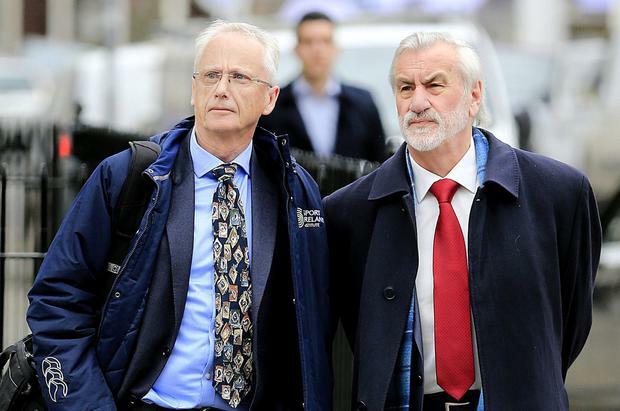 He will appear alongside the former CEO John Delaney – now the organisation’s Executive Vice President, plus senior board members Páraic Treanor and Eddie Murray, and interim CEO Rea Walshe. Last week, members of Sport Ireland appeared before the same committee. When asked if he had confidence in the FAI board, Sport Ireland Chief Executive John Treacy declined to say if he had. Fine Gael TD Noel Rock said the latest decision was “a welcome and necessary move from Sport Ireland and one which was necessary given the unwillingness and inability of the FAI to be forthright with Sport Ireland despite having a variety of opportunities to do so”. Fianna Fáil’s Robert Troy said he would be seeking “comprehensive” answers to questions tomorrow. “Once again we see a situation where the failure of senior executives in an organisation impacts the grassroots hardest. The funding Sports Ireland provides to the FAI facilitates the growth of the nationwide Development Officer network and the success of soccer through education at underage levels. 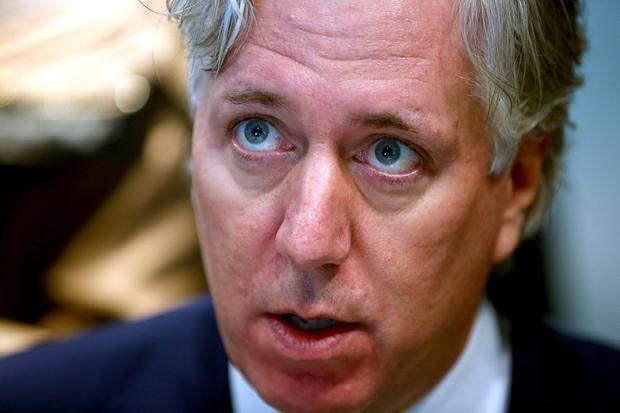 The FAI won’t have the capacity to sustain these programmes without state funding,” he said. Q&A: What’s happened since FAI revelation emerged on St Patrick’s Day?